The opening shot of The Immigrant is of the Statue of Liberty, a symbol of hope and salvation for immigrants arriving at Ellis Island during the early portion of the 20th century, which is when the film takes place. I was born in suburban Chicago in 1984 and I have never left besides a few vacations, so I cannot pretend to have any idea what it would feel like to leave a tragic life behind in search of the American dream, but I would have to imagine that seeing such a grand symbol on the horizon would be a joyous moment for those that associate it with better days ahead. 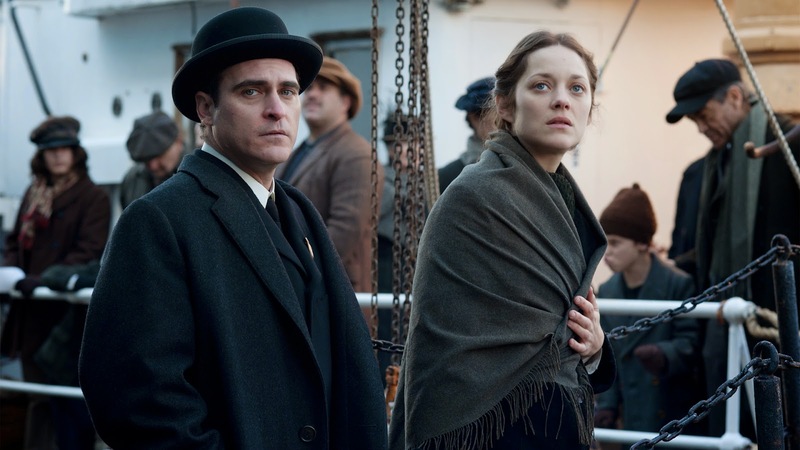 What filmmaker James Gray does is give us this brief taste of the hope before quickly reminding us that this journey so many took wasn't a simple transition from dire to desired circumstances the minute they stepped off the boat and onto American soil. A crucial aspect to pulling off a period piece like The Immigrant is getting the tone and vibe of the times right, and here is where Gray and the entire team working on the film really nailed it. The production and costume design were beyond convincing, making the experience feel as authentic as possible, and the cinematography by Darius Khondji is lush with warm tones, a glow that beautifully illuminates an otherwise unspectacular frame. Despite the familiar faces of the cast, I never once felt like I was watching a fictional portrayal of the 1920's. Those working behind the scenes on The Immigrant really brought me there. The story of the film is technically simple but never lacking depth of its study of humanity and the emotional weight of what people suffered through in search of happiness. Marion Cotillard plays Ewa Cybulska, a woman who has come a great distance from a war torn Poland with her sister Magda. Shortly after arriving they are tragically separated after Magda is found to be ill and immediately quarantined to avoid the spread of any disease. Due to her behavior and having been deemed to have a suspect morality, Ewa is to be deported back to her old life only to have a hero named Bruno Weiss (Joaquin Phoenix) swoop in and save her, keeping her and her dreams alive in America. Unfortunately it doesn't take long for Ewa to realize that the motivations of Bruno are cruel and dangerous rather than heroic as he forces her into his burlesque show and also a life of prostitution. The portion of the film that stumbled a bit for me was after the cousin of Bruno is introduced, a magician named Orlando played by Jeremy Renner. It wasn't the performance of Renner that was my issue, in fact he is quite good in the role, but the inclusion of the character itself simply didn't meld into the experience like I would have hoped. I found the whole idea of an Ewa love interest being seemingly the polar opposite of the evil Bruno, and oh by the way he happens to be his cousin too, to be a little too convenient, and it was the first portion of The Immigrant that felt like a misstep that pulled back the curtains a bit on the otherwise overwhelmingly authentic vibe. Speaking of performances, Cotillard in the lead role is astonishing. She has a way about her that feels like a person confused, scared, and vulnerable, and it isn't so much found in her words or the way she delivers them but instead in her eyes, in her mannerisms. Everything about her felt so real and believable for the circumstances of the character, a performance all encompassing that transcended simply delivering a script with passion. I saw the other day that the New York Film Critics awarded Cotillard with the Best Actress award for both this and another 2014 film titled Two Days, One Night which I am yet to see, but based on The Immigrant alone I can appreciate the choice. Perhaps not the best female lead I have seen this year (that still goes to Rosamund Pike for Gone Girl), Cotillard certainly isn't far behind. The Immigrant is a very good, possibly great film that, to be honest, doesn't leave the impression that it will be on my radar for a revisit or be relevant to me cinematically going forward, but it is certainly worth a look for anyone who wants to appreciate the incredible detail that goes into making a film feel like it was actually shot during the period it is set in. Oh, and that performance by Cotillard deserves some attention as well.